Online dinner kit delivery service UCOOK has a long-standing partnership with non-profit organisation Abalimi Bezekhaya, its preferred supplier of organic, quality produce. As of this month, UCOOK will be expanding on this partnership by contributing a portion of its gross profits to the organisation’s upskilling urban farming project, Harvest of Hope. UCOOK’S permanent partnership with Abalimi Bezekhaya Harvest of Hope is set to re-invent the brand’s procurement strategy moving forward. The collaboration means UCOOK’S customers will receive an increasingly diverse array of organic vegetables, but the real value lies in the socio-economic impact of the affiliation. Abalimi is an urban agriculture and environmental action association that strives to create employment, as well as conserve and reinvigorate the natural environment. 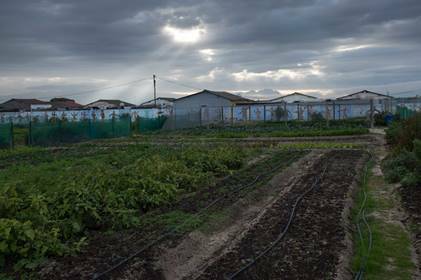 The organisation trains and sponsors residents in disadvantaged Cape Town neighbourhoods by teaching them to grow sustainable organic vegetables in order to feed themselves, their communities and most recently to supply the food industry. To date, UCOOK’s involvement in the Abalimi’s Harvest of Hope project has been strictly commercial, but as of March 2017, the business will be donating a sizeable portion of its gross profit to the NGO. The funds allocated will go into further developing Abalimi’s permaculture projects, increasing the variety of vegetables farmed, hiring new people and creating new gardens for the presently unemployed to care for and nurture. 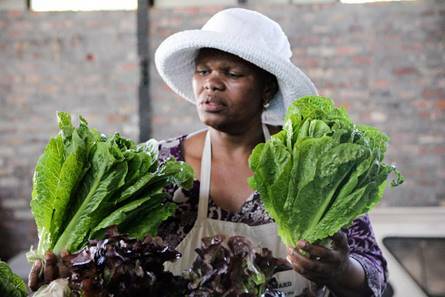 UCOOK is one of SA’s fastest growing e-food business. With nine new mouth-watering recipes to choose from each week and fresh, organic ingredients delivered to your door, evenings spent in the kitchen have never been easier or more inspiring. Contact me at thelifesway@gmail.com to blog, share and influence about your products & services on all my Social Media channels #TheLifesWay #PhotoYatra !